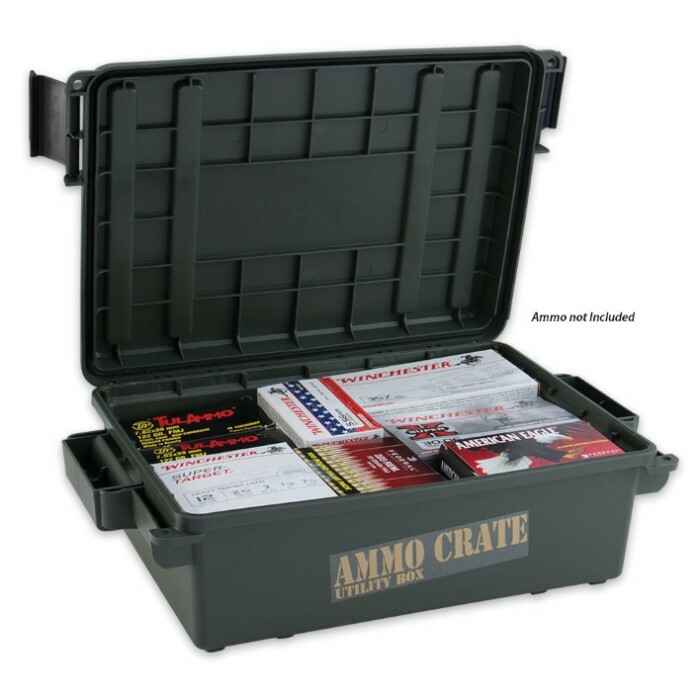 Ammo Crate 17 X 10 3/4 X 5 1/2 | BUDK.com - Knives & Swords At The Lowest Prices! 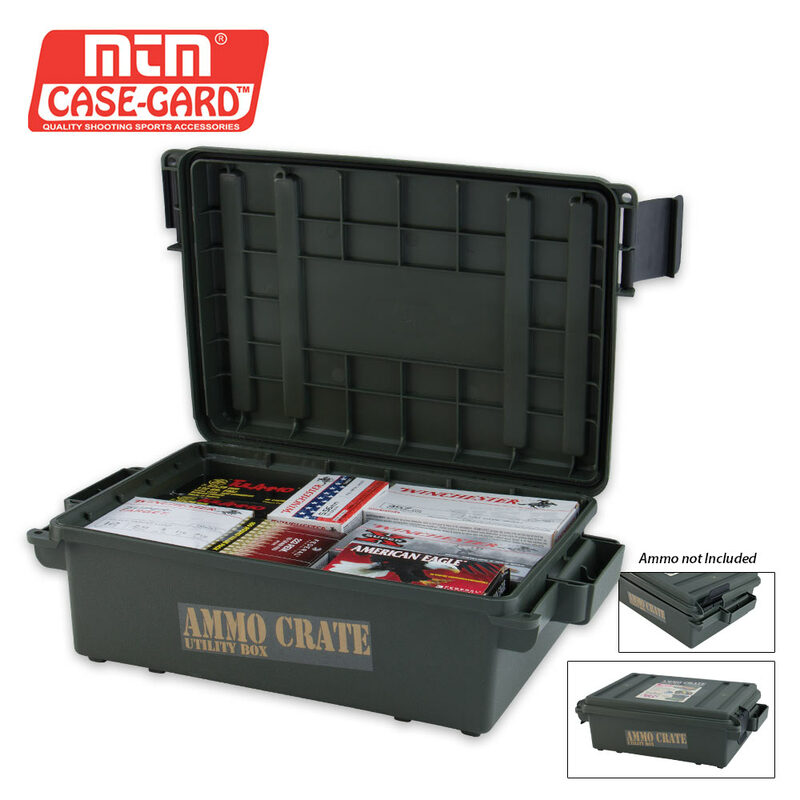 MTM Ammo crates are the perfect storage solution for a variety of storage needs including shooting, hunting or survival gear, as well as ammunition. One of the features that makes them exceptional is the tongue and groove O-Ring seal system for a superior water-resistant dry storage. 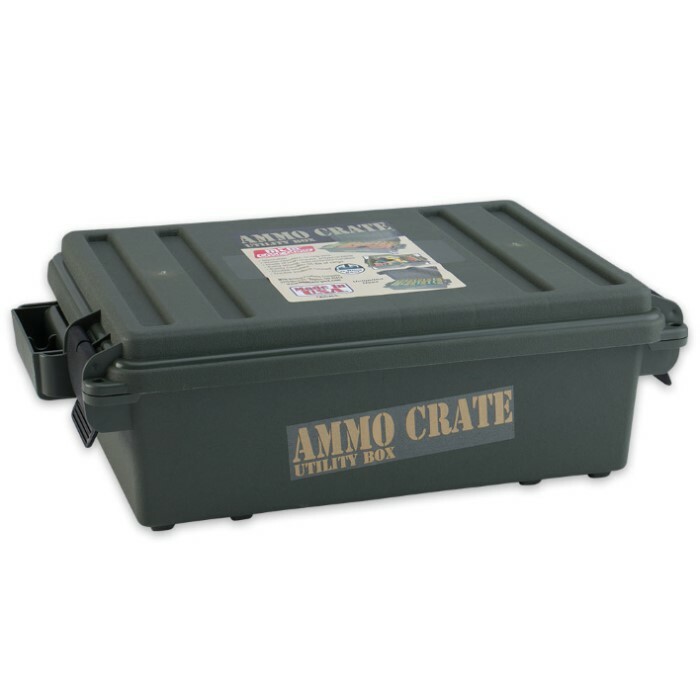 These crates are constructed of high-impact polypropylene plastic and have two extra strong handles that make it easy to carry 65 pounds of gear. They are designed to be stacked high, using molded-in stacking ridges. They also have four tie down points for ATV attachment. Ideal for shotshell storage, they will hold one flat or 10 boxes of 12 gauge target loads.